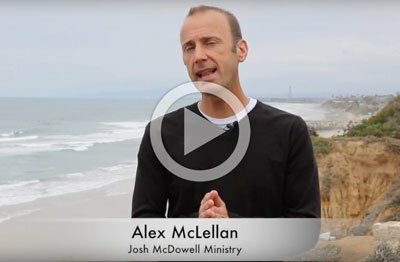 For over fifteen years, in a dozen countries, Alex McLellan has been sharing ultimate truth with ordinary people. Writing, speaking and broadcasting on the airwaves, he connects and communicates with people who are looking at life and looking for answers. Alex’s passion is sharing good reasons to believe we can make sense of this broken world, we can discover the truth, and we can come to know the one who is the way, the truth and the life, Jesus Christ! For more than fifty years, Josh McDowell has been at the forefront of cultural trends and groundbreaking ministry. Alex serves alongside Josh, writing, speaking and shining the light of Christ into the darkest places, and helping believers be prepared to share with confidence, knowing the reason why Christianity is reliable, relational and relevant to our lives. How Do You Make Sense of Suffering? The details below will help us to serve you in processing your request with expectations being as clearly communicated as possible. In Which Speaker(s) Are You Interested? Please list the proposed honorarium and expense budget relating to bring Ben Bennett into the event. Please list any other pertinent event information.